I’m thinking of purchasing a new sofa. The one I currently have has served me well for many years, but it’s starting to sag and become uncomfortable. And I’ve never liked the upholstery on it; I keep a sofa cover shrouded upon its frame. In my last post, Feng Shui for the Living Room, I mentioned briefly how important the sofa is for a prosperous living room. 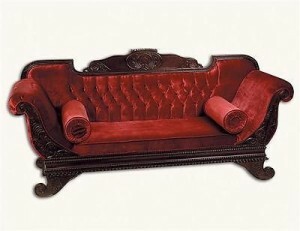 It is the main piece of furniture that every parlor should have. They make a living room more inviting for both the occupants of the space and their guests. Yet many do not have couches or loveseats in their environments. Most people only care about their tv and where the tv goes. Should it sit on something like this high gloss tv cabinet? Does it fit well with the room? Well if you are going to have a tv then why not make sure that the sofa is the best one for the room? 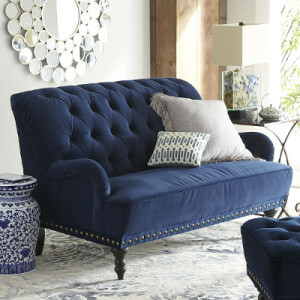 Although I am months away from purchasing a new sectional myself, I’ve already started planning and searching for the newest addition to my parlor. And I thought I would pass on this helpful information to all of you. Measure for Measure. Before buying, take measurements of the space the couch or sectional will occupy. This includes width, depth, and height. Next, take measurements of the doorway and hallways. I suggest this because some environments have very narrow passageways, especially in metropolitan areas, and not all sofas can fit through doorways, or inside the elevator. (It’s very inconvenient to find that one’s new sofa is far too large for the living room, or can’t fit through the front door.) This will help save time, money, and energy. 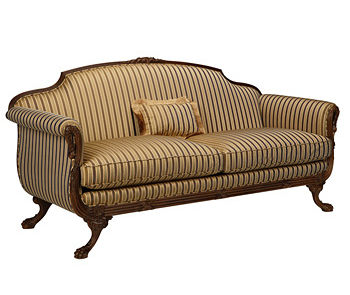 It will also give the occupant a better idea as to what type of sofa they are seeking. Window Shop. Browse online before purchasing anything. 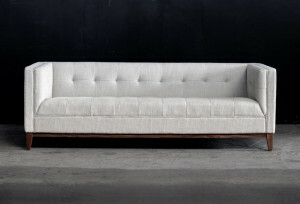 This will help in developing a more concrete idea as to what kind of sofa is being considered. 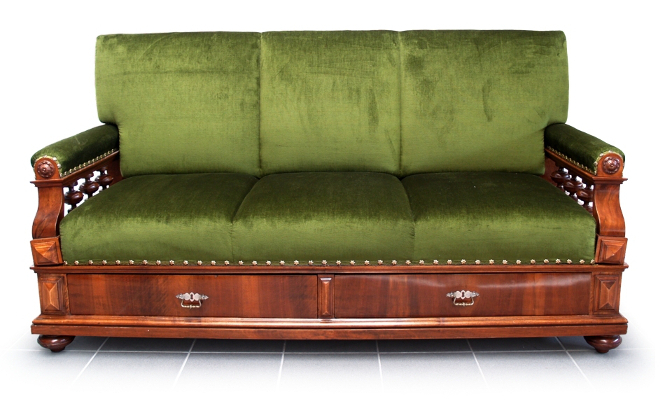 Next – if possible – go in person to furniture stores or malls, and try out sofas-but don’t buy anything. Sit on them, feel the upholstery, and get a physical idea of what the piece is like. The Proper Color. There are several options here. My first suggestion would be to go with hues in the gray or brown spectrum, as these are neutral and can fit in easily to any decor. However, I’ve seen some beautiful sofas in shades of blue, green, mustard and red. Make sure it’s a color that all the occupants can live with and enjoy. No White Sofas. Although white sofas are considered to be modern and stylish, I abhor them. They are completely unpractical if one has children, pets, or plans to use the sofa in any entertaining capacity. 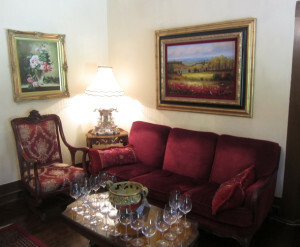 Food, wine, ink, or any other stain-causing item can leave a permanent mark on the upholstery that will be very difficult (or impossible) to remove. White shows dirt and dust far easier than any other color, and it can lend a cold and austere feeling to the room. If one really wants a white sofa, I suggest leaning towards cream, beige or taupe. These will have a similar effect, but are easier to maintain and provide a warmer, more inviting climate. New or Reused? Short answer: They’re both good. Older furniture pieces are sometimes built much better than their modern counterparts. Consider browsing Craigslist, thrift stores, and estate sales. You may find a piece that is absolutely perfect – or close to it. If there is a sofa you absolutely love, but it’s threadbare and sagging (like mine), or needs some work, consider getting it professionally reupholstered and cleaned. Newer pieces from reliable sources and distributors – like Wayfair, Ikea or Pier 1 – offer the current furniture fashions, and many provide free shipping. Sectionals. 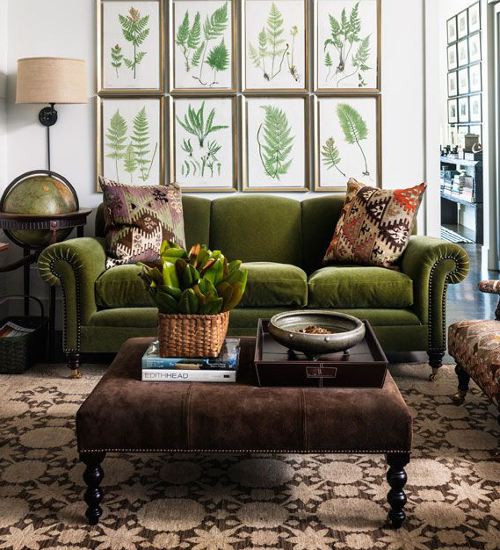 While I do love traditional sofas and loveseats, sectionals offer a variety of possibilities. They are easier to move around rather than couches, and can be arranged in various configurations. They can make small living rooms seems larger, too. If you are finding your living room too small to manage then you may want to consider expanding your living room to give yourself the space you need. The downside is that sectionals are usually more expensive than most sofas. Comfort and Curves. One of the most important things is comfort. Is the couch comfy? Do you want to sit on it? And often? There should be a unanimous yes to these questions. Secondly, select pieces that have softened edges and curves, over sharp, right angles. (Most sofas have these, but some of the more modern ones do not; they’re best to be avoided) And lastly, pick a sofa that you love. No one wants a piece of furniture they don’t like. If you love it, you will use it all the time, and the chi of the home will vastly improve. Where Should it Live? In living rooms, the sofa should take its rightful place in the Command Position. This is the spot in a room where the whole area can be easily viewed. (In bedrooms, this is where the bed would go.) 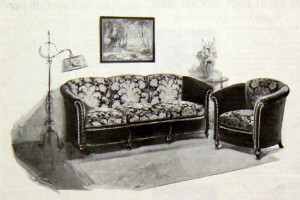 In most cases, the sofa should be placed against a wall. However, for a variety of reasons, this cannot always happen. If it’s free-standing, there should be a kind of anchor behind it, such as a buffet table or sofa table. This will help to ground the occupants, providing more security to those sitting. Focal points such as fireplaces, televisions, and picture windows should also be considered. It’s best to place the sofa in an L-shape or slight curvature around a focal point. Sofas are also great in bedrooms or playrooms, with more flexibility as to where they may be placed (such as a loveseat at the foot of the bed). The sofa or couch is one of the most important pieces in a living room. It’s a place where one can curl up with a book or a furry member of the household. It’s the perfect perch to relax while watching movies. It sets the stage for entertaining friends and loved ones, and can be a symbol of style and elegance for any space. I hope these tips help you to choose the sofa that is right for you and your environment. 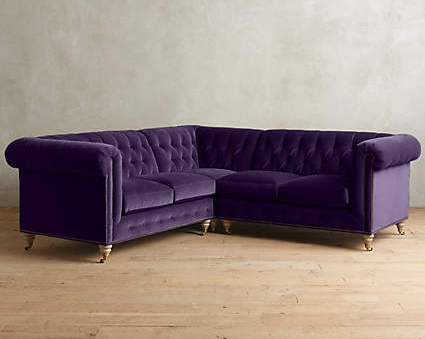 I think my next couch will be something in a rich, durable velvet, perhaps in a royal blue or emerald green. This entry was posted in Bedroom Feng Shui, Color Feng Shui, Feng Shui DIY, Feng Shui Gift Giving Guide, Living Room Feng Shui, Texture and Shape and tagged anchor, auspicious, bedroom, beige, chi, color, command position, couch, cream, curve, depth, doorway, elegance, fireplace, focal point, frame, free-standing, Kroehler, living room, loveseat, measurements, money, neutral, new, parlor, prosperity, reused, Rideau Vineyard, sectional, sofa, sofa table, space, taupe, television, Thomas Moore, traditional, uncomfortable, upholstery, velvet, white, window shop, wood. Bookmark the permalink. 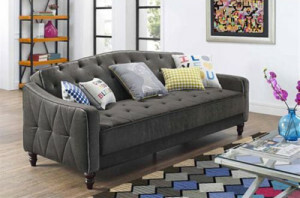 Your post is so timely, I’m looking for a new sofa! Thanks for the great advice.